It’s always a great feeling for us when our clients take the time to contact us after their wedding to give feedback. If you are one of our previous clients and would like to find out how to leave a wedding photography review for us, just let us know. We've been reflecting over our wedding day and I'm not sure where to begin! We are so lucky that I stumbled across a Northern Ireland wedding Facebook page and found you both. I then read over your website & blog and everything was just answered before I even formed any questions. 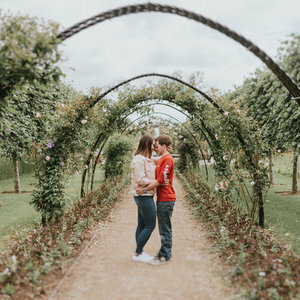 We knew that after picking our venue that choosing our photographer was our next highest priority. How fortunate we were to find a husband and wife duo who are so down to earth and fun to work with. 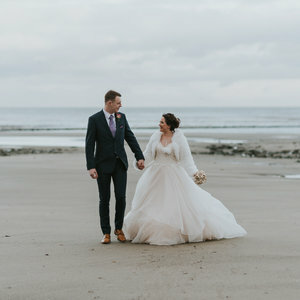 We did a lot of research into photographers and settled on Pure Photo NI very quickly as their style and lighting were exactly what we were looking for. Tommy and Laurene are the loveliest people and they suggested we try a “first look” because of some issues with day light (with it being a December wedding). It was the best idea and it was one of our most memorable moments from the day. The photographs are amazing. Thank you so much for doing our photos. They all turned out so well and we are so happy with all of them. Highly recommend to anyone looking for wedding photographers. Thanks for the amazing photos Laurene & Tommy, fantastic memories. You guys captured the day perfectly. Tommy and Laurene did a fantastic job of our wedding photos. A lovely down to earth couple. We had great craic with them on our big day. They made everyone feel at ease with the camera. We were absolutely delighted when we got our album and photographs. Highly recommended Pure Photo N.I. Two lovely people! We couldn't have asked for any better to photograph our wedding. Very professional, informative and very helpful on the day, even with things that we wouldn't have expected them to do. We couldn't recommend these guys enough! 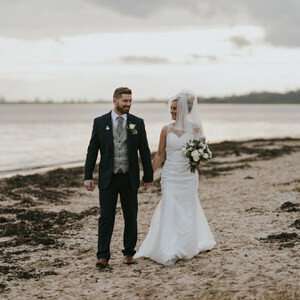 We organised our wedding from London and Tommy and Laurene were an absolute pleasure to work with, even from a distance. Great communication, very professional, and so easy to get on with, even though we didn't meet in person until the big day. 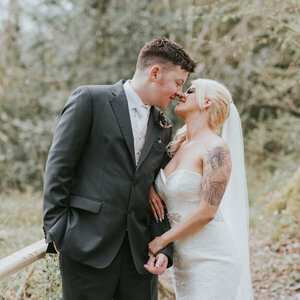 Tommy and Laurene put both of us and our families totally at ease throughout the wedding day, and we are thrilled with the number and quality of our wedding photos. Thoroughly recommend! Research was critical, and reading wonderful comments online by previous couples, I knew I had to contact Tommy and his wife Laurene at Pure Photo N.I. We are delighted with our photos, Tommy was so down to earth and we felt instantly at ease in front of the camera. We loved that they made the effort to mingle with our guests. 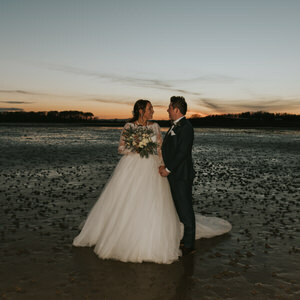 Lovely photos of our special day! Made us both feel very relaxed, Tommy and Laurene were very professional but so friendly and fun. Our wee girl had so much fun with Laurene too! Photos have turned out amazing and we're so glad we chose them. Thank you so much. Absolute pleasure to work with you both. And when I say work I really mean have the best fun ever!! It was such a relaxed day no pressure and I feel you captured our hearts and personality beautifully. No over rated poses!!! Just us. Our smiles. And our friends and family in their element. Thank you. Had the pleasure of booking Pure Photo for our wedding in January. Couldn’t recommend Tommy and Laurene highly enough. Made everybody feel really at ease and took some beautiful uninvasive photos. Completely professional at all times but still up for having a laugh and taking some unconventional shots. Delighted with everything, thanks again so so much! 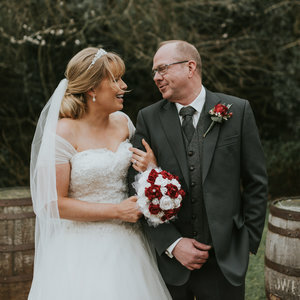 Tommy and Laurene where brilliant when they photographed our wedding in November last year, both were very natural and easy going and blended in perfectly with the crowd. Thank you so much for my photos, loved them all. These pair are exceptional!! This isn't enough space to explain how exceptional these pair are! From the moment they arrive to the moment they leave, they are so much fun! Laurene and Tommy blend into your day and I personally loved that I didn't spend my entire day posing for photos, yet I received over 500 photos all of which were unbelievable! I opted for a usb with the photos on it, the presentation was gorgeous, the usb was wooden in a small wooden box! Looking at all the photos, the day was captured perfectly and reminded me of all the parts I'd forgotten with the nerves! I also can't believe how quickly I received my photos! Under a month! Can't thank you pair enough, you honestly captured the day better than I could ever have imagined !! 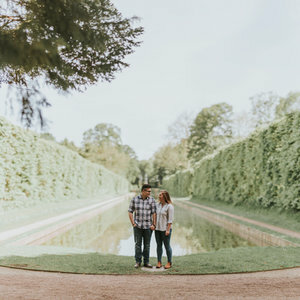 We first met Tommy and Laurene for our engagement photo shoot and they instantly made us feel relaxed and at ease. The big day finally came and Tommy and Laurene were amazing from start to finish. We love how our photographs tell the story of our day. Just a few weeks after our wedding, we received a beautifully presented pen drive which was lovely to have so soon after the wedding. We now have our album which also arrived within weeks of the wedding and we are so pleased with it. 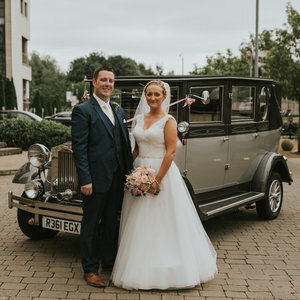 The quality and level of service Pure Photo N.I provide is outstanding, they really listen to what you want and we couldn't be happier with our wedding album. We now have beautifully captured memories to treasure forever and I am recommending you to more newly engaged couples. Thank you so much. 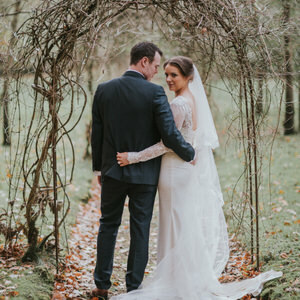 We had the pleasure of having Tommy and Laurene photograph our wedding day, and we couldn't be happier with the photos. Not only was the service brilliant, they are excellent value for money. The blog they put up on their website was also lovely: it made it easy to show people an overview of the day without bombarding them with hundreds of photos. Would not hesitate to recommend to anyone! 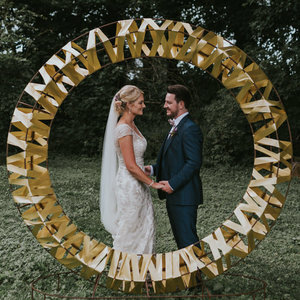 Our wedding photographs were exactly how we wanted them, on the day Tommy and Laurene came to our house that morning to take photos of us getting ready and stayed right through to the first dance! They were genuinely lovely people and we felt very comfortable getting our photographs done. We got a photograph right away that evening through Facebook which was great to see and shortly after we arrived back from honeymoon our photographs were ready for us on a USB. 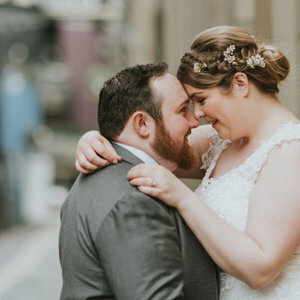 They had also made a blog of our wedding day which we just loved to be able to share with family and friends! Look no further if you need a wedding photographer these guys are the one! Couldn't be happier with our photos and service. Tommy and Laurene are very friendly and made us feel comfortable getting the photos taken. Received them really quickly as well. Highly recommended! Thank you Tommy & Laurene for the photos, we really love them! Looking forward to the big day now and our wedding photos. The photos are absolutely brilliant ! And we had a good laugh too! We definitely will feel a lot more comfortable about our wedding photos being taken, thank you. We can't thank Tommy & Laurene enough for their amazing work on the best day of our lives. From start to finish they were a dream to work with and the end result was nothing short of perfect. 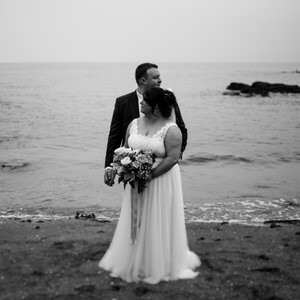 We are over the moon with our photos and can't recommend you both enough. Thanks again. Absolutely amazing! Tommy and Laurene were a really important part of our day, they made everyone relaxed and comfortable and just worked away. At home they actually made me feel less stressed when I was getting ready and they captured all our guests and the venue so beautifully. I have already recommended Pure Photo to friends and family members for their big day - could never recommend enough. Thank you so much. Thanks guys for everything....you truly are the best. Thank you so much for doing our wedding photos they all turned out amazing you captured the most perfect moments. 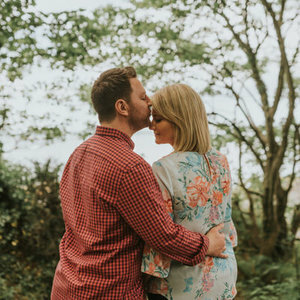 We had our engagement photo shoot at Botantic Gardens in Belfast and couldn't recommend Tommy and Laurene enough, they made the whole experience enjoyable and relaxed and really helped with getting us used to being in front of the camera before our big day, we had really good fun and lots of beautiful photographs as a result. Fantastic work guys, thanks so much. A big thanks to Tommy and his wife Laurene our photographers, got a great day’s craic with you both, you made our day so relaxed that we were sad when u had to go home as u both became a big part of our special day.... I will be recommending u to everyone I hear talking about getting married.... thanks again guys. Thank you for capturing our special day on camera. We are truly amazed by the pictures and have been looking at them every day since we got them. Tommy and Laurene are a good team and work well together to capture everything that you may miss during the day. We highly recommend Pure Photo N.I to anyone wanting to capture their special moments. Absolutely amazing service. Our photographs told the whole story of our day, they were natural, modern and unique and so flattering -from a bride who doesn't like getting her photo taken. A lovely couple themselves, they keep you relaxed and laughing throughout and even helped make tea and keep my five year old in check. Every couple wants a photographer to capture their day perfectly, at a reasonable price and without feeling pressured with a sales pitch. When we met Tommy for the first time we said, without being rude, we don't even want to know you are at the wedding (within reason lol) but it was important to us that aside from the standard family photos we all want, that our photos were as natural as possible! We were delighted when Tommy said that was his approach and that he would listen to what we wanted! And he did just that!! Our wedding day passed by so quickly we didn't see it, so our photos were so important!! We didn't realise how important until we received our USB. Within 3 weeks of the wedding, we were completely blown away with the memories that Tommy and Laurene captured!! We did not realise half of them had been taken! We also were delighted with a personal gift from Tommy & Laurene. We cannot thank these guys enough!! We had an absolutely cracking day with them and most important we have absolutely cracking photographs!! Best of luck to you both for the future! Fantastic team , really put u at ease , would recommend them. Well we have never came across 2 lovely people like Laurene and Thomas. They captured every moment of our wedding day in such detail. They aren't in your face photographers. All guests couldn't speak highly enough of them and on how well they done their job. I recommend to any one looking for a wedding photographer, pick these guys.. You just don't get 1 you get 2. O.M.G we are blown away by the photos they are amazing you did a fantastic job, thank you so very much. We loved looking at them you captured every detail things that we didn't even see ourselves, absolutely over the moon. We couldn't have wished for better. Tommy and Laurene managed to capture our day in a way we never even imagined, leaving us with memories we can cherish forever. 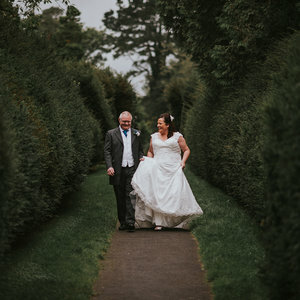 Having Tommy and Laurene there on our big day was such a lovely experience, taking amazing photos obviously comes second nature to them as they blend into the wedding party whilst bringing their wonderful personalities and experience to the day. We couldn't recommend Pure Photo NI highly enough to anybody looking for someone to bring something extra special to their wedding day. We cannot put into words how excellent the service Thomas and Laurene provided us! They are extraordinarily talented and extremely professional. However they also create the perfect relaxed and friendly atmosphere needed on the morning of your wedding. We genuinely feel we started out with two photographers and left with wonderful friends, who gave us the most wonderful gift of all. Capturing our special day with our children and loved ones in the most beautifully relaxed and utterly perfect way. We cannot thank you enough! I can't recommend Pure Photo N.I highly enough. They are a fantastic pair and put me and my family at ease. They were like one of the family! They are warm and friendly and nothing was to much trouble. I wouldn't hesitate to book them again. Pure photo NI worked well with us we were stuck for a wedding photographer due to some contract violations with the photographer we had booked previous. 3 weeks to our wedding Tommy came out and visited us and thankfully was available for our special day. One thing I loved about Pure Photo N.I are the photos they took without our knowledge they really captured some special moments and were brilliant to work with. This won't be the last time I use Pure Photo N.I and I will recommend them to anyone looking for the best. Thank you again for joining us on our special day. I have known Laurene from childhood, we wished to choose someone we knew to take our wedding photos. It was such a pity we had all the wrong seasons in one day, hailstones, gale force winds etc so the majority of our photos were taken inside. Tommy & Laurene did a great job nonetheless. So glad we chose Pure Photo N.i for our wedding day. From start to finish Tommy & Laurene’s level of professionalism and also a lot of creativity (lucky my shoes didn’t fall of the balcony, lol) was second to none and we can’t thank them enough. We can’t wait to put up our wedding photos and we will never hesitate to recommend you both in the future to family and friends.